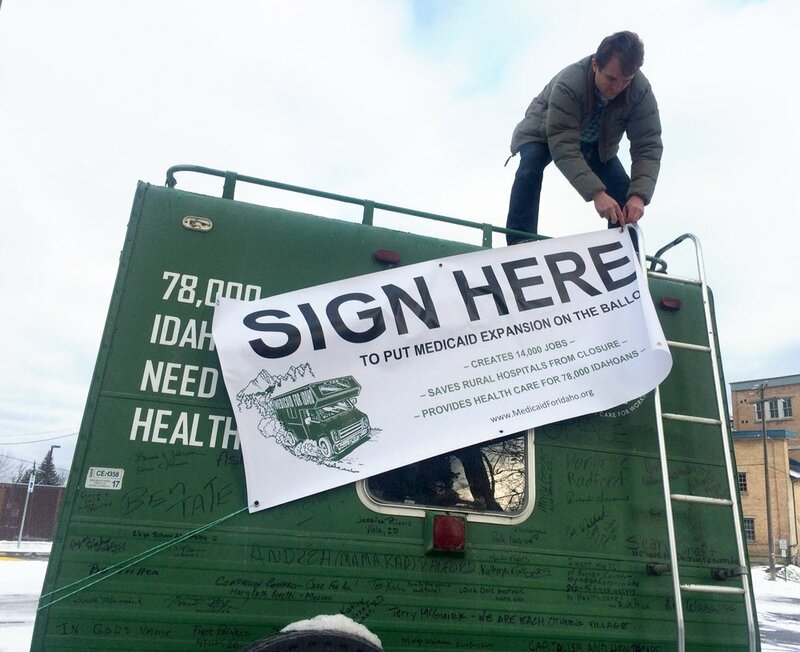 The Reclaim Idaho movement began in the summer of 2017 when we painted a 1977 Dodge camper bright green and labeled both sides with “Medicaid for Idaho.” Beginning in the Panhandle, we drove south to every corner of the state, visiting over 20 communities. We successfully spearheaded the initiative campaign to get Medicaid Expansion on the 2018 ballot. Through those efforts we built a grassroots network with over 2,000 volunteers in over 25 Idaho counties. Ordinary Idahoans, from every part of the state, came together to accomplish what the Idaho legislature failed to do. Last November, 61-percent of Idaho voters approved Medicaid Expansion. Proposition Two won majority support in 35 of 44 Idaho counties and 29 of 35 Idaho legislative districts. We became citizen lawmakers. 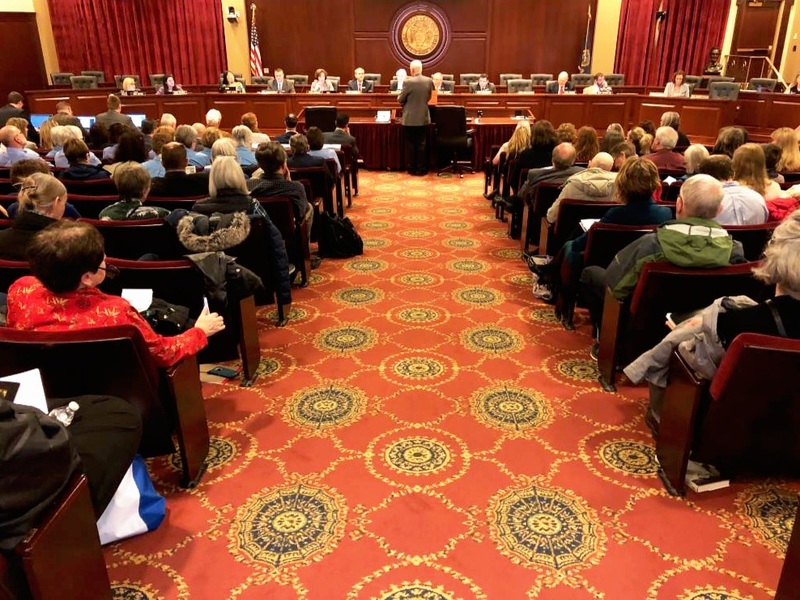 Despite that overwhelming victory, the majority of Idaho’s legislators retaliated by drafting bills that would make future initiative efforts virtually impossible. Reclaim Idaho joined with a coalition of partners to defeat those efforts, which continued through the final days of the legislative session. Thousands of Idahoans from every county joined the fight, pressuring Governor Little to veto the bills and protect our initiative rights. Looking to the future, our goal is to make 2020 a year when we hold our elected representatives accountable for their failure to represent their constituents. There is a brazen willingness on the part of many Idaho legislators to ignore the will of their constituents. There is a willingness, in other words, to put partisanship and the narrow agendas of special interests above the needs and demands of ordinary Idahoans. The Accountability Crisis was on full display during the 2019 legislative session. Even in districts where Medicaid Expansion won by a landslide, some legislators claimed their constituents “didn’t know what they were voting for.” Legislators insisted on repealing or dramatically restricting the new Medicaid Expansion law. Similarly, we witnessed legislators advance bills to essentially revoke our constitutional right to organize ballot initiatives in spite of overwhelming public opposition. Once we’ve identified our targeted legislative districts, our first tactic will be to organize issue-focused Town Hall Events. These events will be modeled on the successful event we recently held in Senator Scott Grow’s district following introduction of his Initiative Restriction bill. These events will focus on either the Medicaid issue, the initiative issue, or both, and will highlight the deeply unpopular stances taken by the district’s legislative representative(s). Prior to each Town Hall Event, we will knock on doors in the district, engage with local voters about the issues and the way their representatives have voted, and invite them to the upcoming local event. The ultimate goals of each Town Hall Event will be 1. Inform voters about the unpopular positions taken by their representatives, 2. Generate earned media coverage of our accountability campaign, and 3. Recruit candidates and new volunteers. We are exploring the possibility of a ballot initiative that would help restore accountability to Idaho government. One possibility is a campaign-finance initiative. Or consider this: There has not been a successful recall election in Idaho in decades. This is because the rules are so onerous—both in terms of petition signatures required and votes needed for successful recall—that recall elections are virtually impossible in most cases. In the coming months, we will explore these issues and others, with the goal of filing an initiative by mid-summer. We can win. Back in March, when we traveled the state on our “VETO 1159” campaign, we encountered widespread hunger for a system of representative government that genuinely represents the people of Idaho. We are confident that if enough people join this effort, we will make 2020 a year of accountability unlike any we’ve ever seen.